Change things up with a short trip to Amethyst Mine Lapland in Luosto (about 1h 35 min away). There's still lots to do: get in on the family fun at Santa Claus Village, pause for some serene contemplation at Rovaniemi Church, have fun at Snowman World Igloo Hotel, and stop by Your Piece Of Finland. 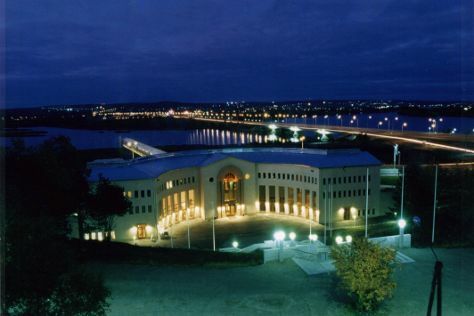 To see photos, more things to do, traveler tips, and tourist information, go to the Rovaniemi travel planner. In December in Rovaniemi, expect temperatures between -6°C during the day and -13°C at night. Cap off your sightseeing on the 22nd (Sat) early enough to travel back home.